The celebrated Dutch Golden Age artist Rembrandt Harmensz van Rijn was born 408 Years ago in Leiden, Netherlands. Rembrandt Harmensz van Rijn was the sixth son of a miller and he grew up in good circumstances. At 14, Rembrandt enrolled at the University of Leiden, but after a year of study, he left to be an apprentice in the studio of Jacob van Swanenburgh. After a few years with Swanenburgh, Rembrandt opened his own studio with the artist Jan Lievens. Rembrandt's painting style is based on an intense darkness, which makes the bright areas of his work stand out with an incredible luster. This artistic practice, which was common in the seventeenth century, is called chiaroscuro (light/darkness). The period's sense of contrasts is clearly evident in Rembrandt's work and the relationships between light and dark, happiness and sadness and life and death play a central role in his work. 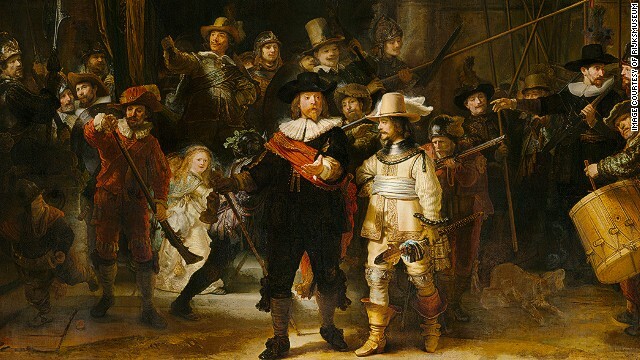 Some of Rembrandt's most famous pieces include "The Night Watch", which is at the Rijksmuseum in Amsterdam and "The Anatomy Lesson of Dr. Nicolaes Tulp" which is at the Royal Picture Gallery Mauritshuis in The Hague. Rembrandt had many students and imitators, and his studio was highly productive. In recent years, with the help of modern technology, several paintings that were previously attributed to the master have been reassessed and credited to his imitators instead. 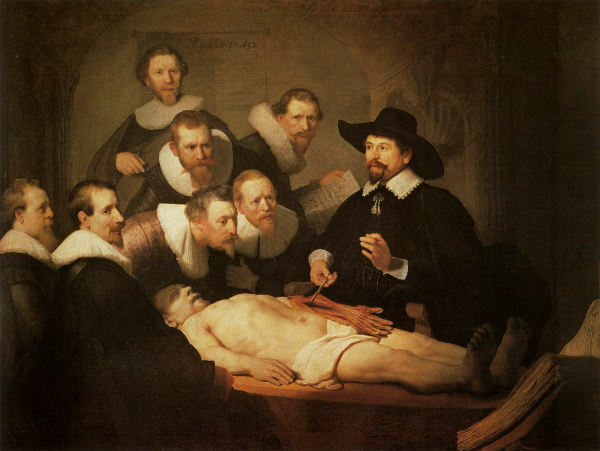 The Rembrandt Research Project is the team of experts dedicated to this work, they are however not always correct. 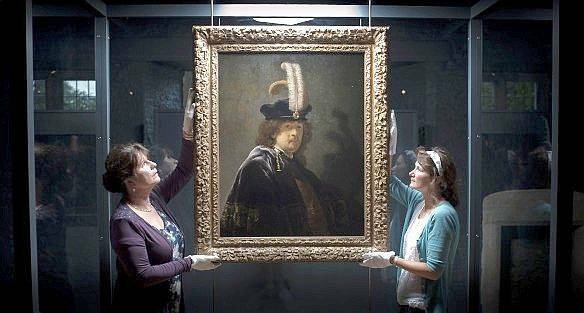 Recently a 1636 portrait accredited to Rembrandt's studio was upgraded to a self-portrait by the artist himself! Today, there are only some hundred genuine works by Rembrandt, all of which are well documented. See Rembrandt-esque lots on Barnebys here.